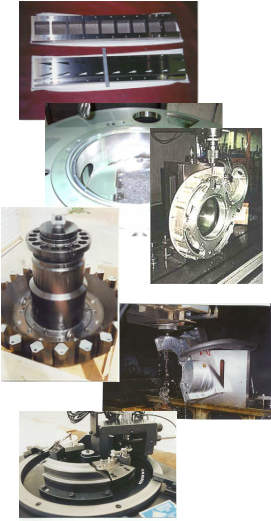 Our capabilities include, but are not limited to building to customer drawings, files and specifications using precision equipment and highly skilled Toolmakers and Machinists in order to maintain extremely close tolerances of .0001” and closer. Our four 10 ton airconditioner units provide us with constant temperatures necessary for reliable close tolerance machining and inspection verification. Our engineering expertise includes geometric dimensioning for defense manufacturers, also medical related, aircraft and power generation turbine tools, gages and fixtures. We comply with most major manufacturer's design standards. Our design and build as well as build only projects have included research and development, prototype machines and pneumatic and hydraulic linear actuators and clamping. Our versatile machining capabilities allow us to produce customer products and in many cases unique and close tolerance requirements. That versatility allows us to provide short production runs for a wide variety of customer parts. Check out our current Facilities List.